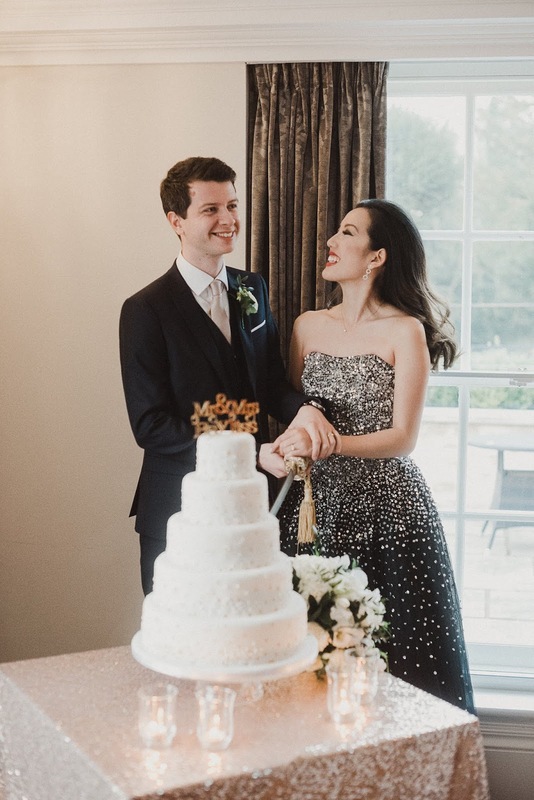 The wedding pictures are here! After 16 months of wedding planning (the first 6 of which were mostly making Pinterest boards), I can finally pay it forward and contribute my own content to the inspiration destination that is Pinterest. And the best part? Everything was on time and within my wedding budget of £20k. Well, what else would you expect a newly-wed accountant to say?! 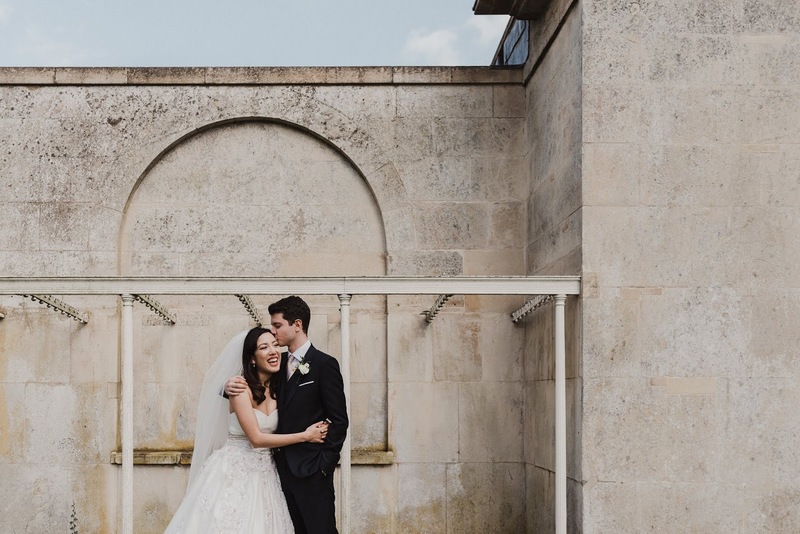 Take 1 string quartet in a Grade II listed Orangery, 100 people, 5 bridesmaids, 6 ushers, 3 outfit changes, 3 makeup looks with 2 photographers and 1 videographer to document it all. Then ADD 50 bottles of wine, 300 glasses of prosecco, 500 canapes, 100 bacon rolls, 1 inflatable photobooth, 5 tiers on a cake and 415 after-party drinks (boosted by 50 Wedding Hangover Kits the next day). To stay on the visual Pinterest theme, these are the only numbers I’ll hit you with for now but with the average cost of UK weddings soaring to 27k last year, I managed to get a lot for my money. So if you’re planning a wedding and thinking about your bridal budget then come back next time to learn how I spent it and- maybe more importantly- how I saved for it. Until then, enjoy lots of pretty pictures as taken by our great wedding photographer Will Patrick. For even MORE wedding inspo, I also shared the amazing, tear-jerking wedding trailer by Agnes Wedding Films over on my Instagram. We chose Barton Hall, a beautiful boutique hotel in Northamptonshire. Despite plenty of ideas on the internet, I basically couldn’t commit to a colour scheme. Possibly too many options to choose from? Instead I opted for the classic, elegant wedding look of greenery and white flowers. With so much natural light in the venue, I wanted to keep it simple and minimal. For the wedding reception flowers, we kept the flowers the same and added gold touches with gold plates and wedding favours. Our florist was JulieAnnaFlowers. The groom and ushers wore navy with metallic ties and the bridesmaids were in metallic gold, accessorised with large, round Hydrangea bouquets. 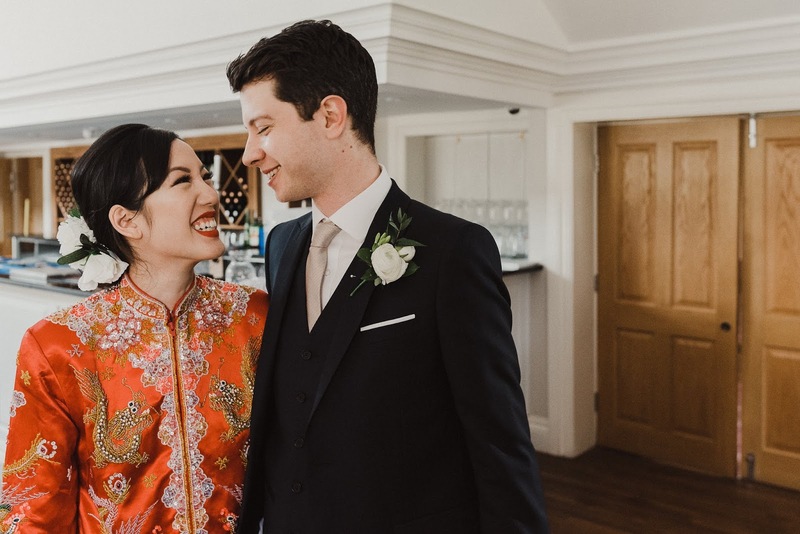 Since we had three sections to our day, a Chinese ceremony in the morning, the wedding at 1pm and the evening reception, I had three outfits made in China. In the morning, I wore a traditional Chinese kua, with a floral arrangement in my updo. The main wedding was in a classic embroidered ballgown, with a heart shaped neckline and an elbow length veil. For the evening reception, I chose a dazzling embellished design, with many layers of tulle and sequins. Are you planning a wedding? What do you think the biggest challenges are when it comes to the cost of a wedding? Tweet me your thoughts @zoe_dubs or send me a comment on Facebook! Since the initial engagement broadcast, wedding planning has been quietly underway but despite the lack of social media information I’ve had lots of questions from new brides-to-be seeking help. Therefore, I thought it was about time I put it all to paper…digitally. You know what I mean. What are the wedding planning lessons learnt so far? More importantly what are the wedding fails to avoid and what are the wedding deals to be done? Of course, a business minded bride-to-be like me is being financially savvy about it all. I won’t go into to the detailed timeline of ‘how to plan a wedding’ because it depends on how long your engagement is and frankly, there are better wedding websites out there which explain the planning process a lot better than I can. Lesson 1: It’s okay to NOT be obsessed with your wedding. When I first got engaged, I was absolutely convinced I was going to be the worlds best Bridezilla (in the worst way). If needed, I can worry about the tiniest, most irrelevant details and be a real force of nature when it comes to demands, so I’m sure they all got their Bridezoella badges ready. Plus, if you’ve got more than 6 months to go, the question ‘how’s wedding planning going?’ actually becomes quite meaningless after a while. Once you’ve actually got the majority of it sorted, there’s almost nothing to do until closer the time so you end up in a bit of a Wedding limbo stage. I’m frankly quite bored about talking about it but it’s not because I don’t care or aren’t excited by it. Remind yourself that you don’t need to be obsessed – for both you and your friends’ own sanity! With 4 months to go, I’ve only just got round to doing my formal invites and I’m glad I waited because I ended up finding an amazing deal compared to the ones I initially thought about. Don’t feel pressured to rush into a decision. One slightly linked to having lots of time, remember, there are hundreds of suppliers out there. 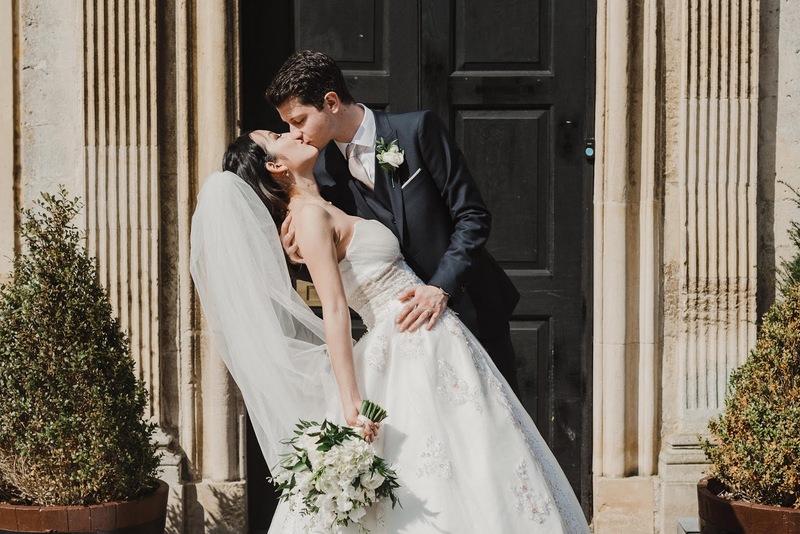 Wedding florists, photographers, wedding chair cover decorations – I was always panicking that a good supplier I had found would instantly sell out and I had to land them quickly. Unless you’re booking specialist or super popular suppliers, don’t get fooled by certain phrases that urge you to book quickly. Once you’ve registered an enquiry for a particular date, most reputable suppliers will let you know if someone else has enquired for the same day later on and at least give you first advantage to confirm then. I also regretted making early moves on some things because I found better or cheaper suppliers later on. Most ‘special one off deals’ that were available tended to come back around later in the year. Spend on what matters to you. Money and budget is pretty much the crux of the decision making. They key thing I realised is to focus your wedding budget on what’s important to you. When I really thought about it, I didn’t care that much about the ‘stuff I’m supposed to do’. Fancy invitations, wedding stationary and save the dates were less important to us. I ended up using Photoshop to create a fancy Save The Date image, which we then whatsapp-ed to our friends and family. 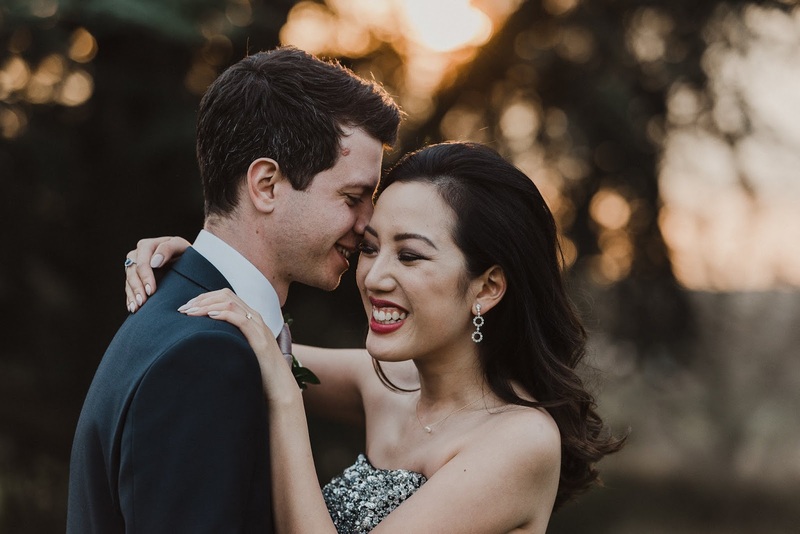 We then also got a free wedding website to put all the information that would normally go in the paper invite and all RSVPs were done electronically – saving us postage, printing and paper costs! What is more important to our wedding? Booze! (quelle surprise, if you’ve seen my Instagram Stories) I sacrificed flower walls and floral arches, in favour of free flowing vino later on. Who wants to come NOW eh? Where else am I saving money? I’ll be getting my hair coloured back to something a bit more normal, and a bit less purple but other than that, there are some great bridal beauty tips that can be sorted yourself. HUUUUUGE POST on bridal beauty coming soon. I also managed to save money on the invites by getting them made in China, the bridesmaids dresses were bought during the sales for less than £20 and even my own dress was well under budget! 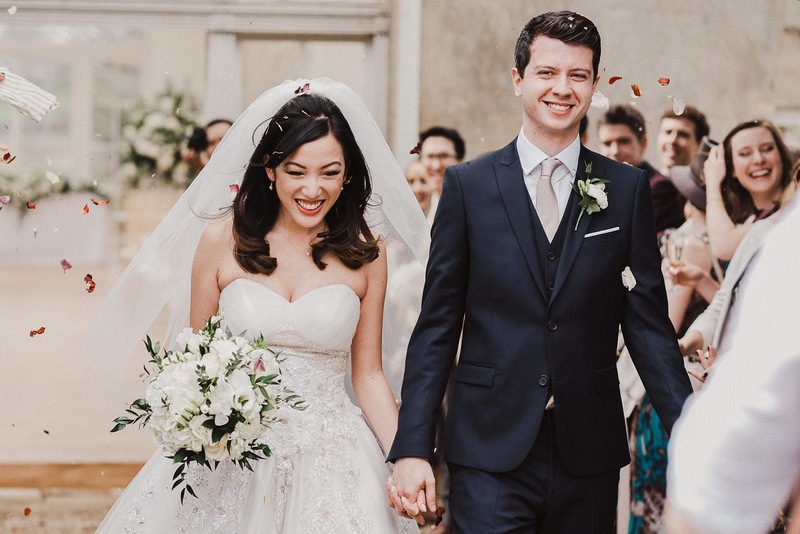 I actually saved a lot of money on my wedding dress so I’m keen to do a full dress shopping guide too (insert girly squeals here) but will keep that under wraps until after the wedding, so that I can show you the photos too! Look out for suppliers that can cover multiple services. For example, I’ve seen some wedding photographers that also offer a free photo booth for any wedding they’re covering – saving you a couple hundred pounds. I also picked Prezola to be host our gift list because their premium accounts are completely customisable, don’t charge you extra fees for cash gifts AND also give you a free wedding website which integrates your online gift list. When it came to gifts, we were deliberating whether we really needed a gift list – I mean, I’m not one to turn down presents but we already live together, and we already have a set of Tesco plates and cutlery that do the job. 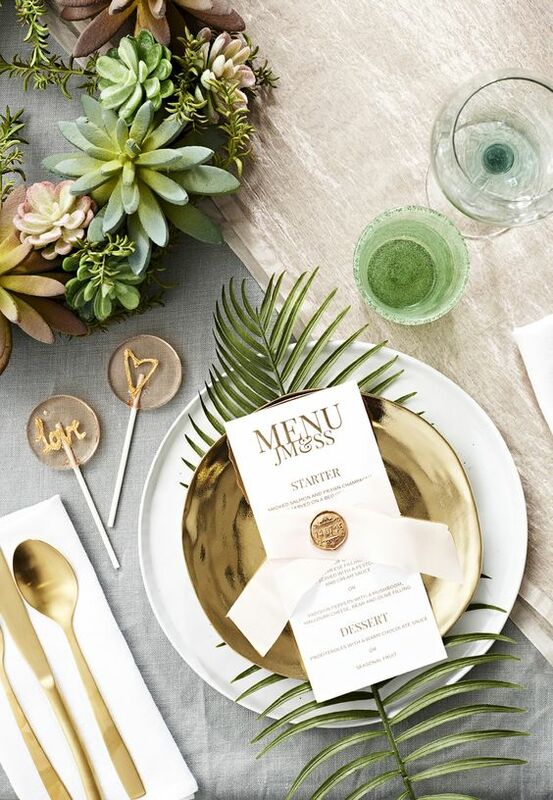 Did we really want to ask for a rose gold plated avocado spoon?! I’m perfectly comfortable dealing with money as part of my day job and I’m certainly comfortable with a varying level of self awareness on a Friday night but turns out my inner British sense of what’s proper does draw a line at denominations of £25 and £50. Fortunately, it turns out that Prezola also give you the option of creating a completely customised wedding gift list (without charging more for cash). What we’ve done is make our gift list into a personalised honeymoon shop, aka a polite way of shaking you down for money. Only ask for opinions I you really need. It’s great to be a diplomat and ask bridesmaids and mothers for opinions but DO THIS WITH CAUTION. Only ask for opinions if you really want to hear them and be prepared for an opinion that you don’t agree with. And that’s it for now! Bridezoella over and out. Looking back on 2017, I’ve been on a whole load of trips this summer – I thought it only right that I dedicate a piece to the beauty products that have kept my face in place throughout the travel process. With weight restrictions (and suitcase size) on my mind, I used to spend ages deliberating which beauty products would make the cut and still end up bringing a kilo of creams and potions, most of which were barely used but brought ‘just in case’. Sound familiar? The ongoing debate as to whether you need to bring the full skincare arsenal, or whether you can get away with just a tube of moisturiser. Those of you who have the full day cream, night cream, eye cream, serum routine wouldn’t even believe it was even possible. As a long-time beauty writer and skincare obsessive, I definitely fall into that category but I can safely say I’ve finally nailed it. Thanks to a series of trial and error on some recent travel breaks, I’ve now refined it to a trusted lineup of skincare superstars which I bring with me every time. Obviously, certain trips are geared to more sun protection, more makeup glam or more outdoors inclined but when it comes to essentials, these are the ones that I will always need. Air travel is notoriously hard on your skin, thanks to the dry air and dehydration. For anything over 4 hours, I always take off my makeup before protecting with a face oil or heavy cream. Trilogy Rosehip Oil is one of my trusted facial oils. Certified organic and 100% natural, rosehip oil contains powerful antioxidants that help protect against the free radical damage of radiation. That, and a load of essential fatty acids that keep my skin hydrated and plump during the flight. For long haul flights, I also use Christian Breton Deluxe Gold Mask when waking up onboard in the morning. Fortunately, I can pretty much fall asleep anywhere but when your skin needs a quick radiance & hydration fix, this mask is my go to. It’s pricey AF but one tube has lasted me a year and I would buy with my own money. It contains little gold particles that add visible radiance to your skin. Just apply the cream to your face, leave and tissue or rinse off. After 20 minutes with the radiance mask, I’ll put my face back on – mainly so that I actually bare some semblace to my passport photo. Instead of bringing a full makeup bag on the plane, I just bring my portable makeup pocket rocket – the Chanel Palette Essentielle compact which I dedicated an entire post to upon purchase. This, plus a mascara and an eyebrow pencil- inflight makeup kit is sorted without an overflowing liquid allowance bag. Other than the palette, my FAVOURITE beauty discovery this summer was this Skin Defence Multi-Protection essence by The Body Shop. My new favourite and daily must-have in my skincare routine. In a nutshell, it’s the lightest SPF50 cream I’ve ever used, has antioxidants protection AND Vitamin C to slowly brighten my skin and reduce pigmentation with each use. It’s billed as an essence but in my opinion, is moisturising enough for me to use a day cream. Dry skin may want to add a hydrating cream as well. Cannot recommend this product enough, it protects your skin whilst slowly perfecting it. Check it out, on tour in Hong Kong. After that, the only other thing is hand gel and eye drops. My favourite hand gel is Merci Handy – the least drying, most moisturising hand sanitiser that I’ve ever used. And eye drops, an essential for any contact lens wearer – I’ve upgraded to single use capsules instead of a bottle. They’re more expensive but the bottles can only be kept open for 3 months (of which I use about half) and you can just slip a single use capsule into any handbag, whenever you need it. And that’s literally it. The 5 products that I always bring with me. What do YOU think? Do you have travel essentials that you always reach for? IS there such thing as travelling light? Tweet me your thoughts @Zoe_Dubs or send me a comment on Facebook! Glossier has FINALLY come to the UK. With Glossier products ready to ship to us Brits, you might be planning your shopping list already. Fortunately I have already put myself through this reeeeally difficult process, just for your benefit of course.. It’s part of the beauty blogger service right? Being impatient and y’know, addicted to beauty products, I couldn’t wait for the UK launch. I actually made my first Glossier purchase last year in the US when I was in New York. Eyes wide with makeup abandon, I spent a good hour trawling through their collection and spent a long time researching, like, ALL the products. So if you’re confused what to buy or wondering which Glossier products are best, I figured I’d save you some time and transfer you the fruits of my labour. For those of you who have been living in a beauty hole and not heard of it, Glossier is a US beauty brand created by Emily Weiss, founder of super beauty site Into The Gloss. Into the Gloss actually started off as beauty blog and is now an all-singing, all-dancing digital beauty site – and Glossier is the beauty range that came out of it. Glossier was immediately snapped up by the Instagram models and the beauty queens – EmRata, Emily Ratajkowski told me herself that she uses their Skin Tint, when I interviewed her in 2015. Obviously I had to try it! I loved the texture and feel of the mask but it didn’t feel entirely ‘good’ for my skin. It felt like a cheap mask that I’d bought from a supermarket basics range and I felt like it was clogging my pores on my nose rather than saving them. I think it would help dry, patchy skin or skin in actual need of hydration but as a weekly booster, it didn’t really do anything for me. You’re better off just layering up your night cream and keeping that on for 10 minutes. Would not buy again -recommend this Aura Mask by Antipodes instead – see my review. I bought this in shade LEO – a warm brown tone. With one swipe it’s relatively sheer but you can build it up. Big fan of this matte lipstick – it’s not quite as slick as a lip balm but it’s definitely easier and a lot lighter to wear than a normal matte lipstick. It doesn’t clump or go chalky like liquid matte lipsticks. Did I mention HOW lightweight it is?! It’s not as moisturising as I’d imagine a lip balm lipstick to be though so moisturised lips are needed, but I would definitely buy again and try the other colours. Don’t expect any real coverage from this but if you’ve been working on your skin routine and only need a hint, nay, a whisper of colour to even out your face – then this could be for you. I bought shade medium and it was just about right. It’s got a lovely sheer finish for that real ‘natural’ look and unlike some tinted moisturisers it’s not TOO dewy. It’s definitely more makeup rather than a moisturer though, don’t be mistaken. I’ve worn it but I’m not a convert as I need more coverage- would probably not buy again. I’d say it’s overpriced for what it is – hit me with a teeny bit more pigment, an easier bottle to squeeze and then lets talk..
Yeah okay, I’ll bite. I like this concealer – it’s creamy and easy to blend. The shade Medium is also okay for me. I use it under the eye but also around the face – it’s what I would use to cover the bits that Skin Tint cant. Texture reminds me a little bit of Benefit Fake Up. Because it has natural goodies like jojoba oil, it does give a dewy finish. Whilst this is okay for under the eyes, everything else needs a dusting of matte powder otherwise I’d look a bit shiny. Not a holy gral product for me but would buy again! Can we have a stick format though? This is a lovely creamy highlighter that comes in a SUPER convenient stick format. It’s got a little gel core which means it comes out a little bit more sheer and less artificial. I like it a lot – it MAY be breaking me out slightly but I like the effect it gives. However, not worth the price tag – only recommend if you’re looking to splurge but you can definitely get cheaper alternatives. See the sticks that Kiko Cosmetics do. So what’s the verdict? Glossier is veryy pretty and I’m totally bought into the brand! It’s a real ‘capsule’ collection that has everything a basic makeup kit needs. A decent attempt at trying to be inclusive with the colour range but could do a little bit better. It’s a brand that I’m DYING to love but unfortunately, not all the products lived up to my expectations – especially at this price level. I’m still keen on becoming part of this Glossy Posse though so would definitely be interested in trying more though, especially now that I’m not risking paying a million pounds in potential customs. Have you tried any Glossier yet? Tweet me your thoughts @FaceValueBlog or send me a comment on Facebook! Exciting news, my future sister-in-law got engaged too! There is SO much bridal chat going on in that family, it’s great. It’s lovely to have someone going through the same thing as you though – smiley emoji’s and cosy feelings all round. For her birthday, we got drunk brunching at The Landau and after a excited conversation about her skin (skincare is always an exciting topic for me, drunk or not), I promised I would make her a super skincare bundle so that she could actually HAVE a skincare routine and see the results in time for her wedding day. Since she lives in Birmingham, I figured I’d end up posting it to her so I decided to make a quick walk-through video to explain all my beauty product choices and how to use them. Cut to a 20 minute video later and I decided that this actually might be useful to SOMEONE else out there, so I’ve put it on YouTube. It’s literally the longest video I’ve ever made and it’s also the FIRST video I’ve ever done not wearing any foundation but you know what, if I’m going to pretend to be some sort of credible beauty gal, I gotta show you the results too right? Here are the shopping links to the products mentioned in the video, plus some additional products I also like but cut out of the video. I have tried ALL of the below products myself. I’ve put the RRP up as well, but to be honest, most of these are always available discounted so don’t freak out when you’re seeing stuff over £50! Some of these links below are linked to affiliate shops which mean that I get a teeny bit of commission if you buy anything. THANKS GUYS. Something oil or cream based, to dissolve makeup and keep skin balanced. Actually GREAT for oily skin. Nyasa Pure Glow Nourishing Cleansing Balm £50 – but would def buy again. MooGoo Oil Cleansing Method £16.90 – lovely little organic, all natural Australian number. Liz Earle Cleanse & Polish £14.50 – it’s a cult classic for a reason. Slightly lighter than the night cleanse, I like gel based cleansers to remove early morning oil, without stripping skin. Eau Thermal Avene Cleanance £10.50 – a soapless, mild cleanser that’s good for sensitive oily skin. La Roche Posay Micellar Gel Cleanser £12.50 – the secret is to use it with warm water. A protective layer of antioxidants to enhance the skin’s natural barrier function. Voya EvenPure £53 – again, not cheap but it’s packed with organic ingredients which drive the price up. I’m also more inclined to actually use and take care with more expensive products. Nuxe Creme Fraiche De Beaute Cream £26 – a dependable pharmacy brand, I’ve had a great experience with anything Nuxe. Dermalogica Solar Defence Booster SPF50 £55.50 – caused a dent to my wallet but has lasted forever. I only use it on my face. Elemis Peptide4 Night Recovery Cream Oil £49 – lovely stuff. Feels a lot more lightweight than some night creams. Trilogy Rosehip Oil £19.50 – not mentioned in the vid but I’m a recent convert – also recommend the lighter Rosehip version for oily skin. La Roche Posay Hydraphase Intense Light Fluid £16.50 – if you hate face oils, then this is your one. Jurlique Herbal Recovery Eye Cream £34 – the eye version of the day serum I use. Dermalogica Power Firm Eye Cream £43.50 – the most expensive eye cream I own but it reminds me to use it every night. POWDER EXFOLIATORS are the way forward. Don’t scrub your skin. Make a paste with these, apply to your face, let sit for a minute – I like to keep it on while brushing my teeth – and then rinse off with warm water. Do NOT vigorously rub your skin, let the natural acids within it do the work. Dermalogica Superfoliant £55- if you only buy ONE thing. It’s probably this. Would spend my own cash on this full price. Dermalogica Daily Microfoliant £48 – cheaper, original version of the above – also love but the other has charcoal. Indeed Labs Powder Exfoliator £18.99 – the next best thing. Try it – don’t scrub! Caudalie Beauty Elixir £12 – another cult classic. Neals Yard Rehydrating Rose Toner £16 – can’t go wrong with rosewater really. The blue glass bottle is beautiful too. The Ordinary Vitamin C Suspension £4.90 – good luck finding this stuff, it’s always out of stock! 100% recommend but go lightly on your first go, it tingles! La Roche Posay Redermic R Retinol Treatment £29.50 – only for visible fine lines, always research Retinol before you use it – and ALWAYS use SPF if you’re using retinol. Antipodes Aura Mask £24.99 – the mask that changed my opinion on cream masks. It’s sublime – esp for oily skin. Aesop Parsley Seed Mask £30 – quick and easy clay mask if you’ve only got 5-15minutes dry time. Sukin Super Greens Clay Mask £11.95 – Packed with the good stuff, it’s part clay mask, part delicious smelling antioxidant treatment. B Makeup Brush Cleanser Spray £4.99 – DON’T UNDO YOUR HARD WORK. ANNNNND That’s it! A long list but it’s an investment towards better skin. What do YOU think? How many products do you use a day? Tweet me your thoughts @FaceValueBlog or send me a comment on Facebook! Wind back a few weeks. I was flying to Malta on my second ever press trip, passing through the airport departures in a cloud of ‘I can’t believe this is happening to me’ and then I saw it. The World Duty Free shop. Like a moth to a flame, I instinctively headed in. It then occurred to me that I’d been plastering the new Chanel 2017 Fall Winter makeup collection on my Instagram Stories, in some kind of lustful makeup fit, so I took a hopeful trip to the Chanel counter to see if it was there. Unfortunately for my tentative bank balance, the new collection was INDEED in stock. So I decided to save a whole £6 and treat myself to the new Chanel Palette Essentielle compact. A Chanel makeup compact is a tempting proposition just by name, but let me tell you more about THIS particular delight. The Palette Essentielle is, what the French translation may imply, an essential palette. The whole Chanel collection is travel themed – so it’s no surprise that this compact is ideal for travel. With three sections to conceal, highlight and colour, it’s the perfect perk-up palette to slip into your bag. Whether you’re using it for afternoon touchups or taking it as the “if you only bring one thing” product for an overnight with restricted beauty baggage space, it’s certainly a great do-all product worth investing in. The concealer is a great match for me, and it’s a creamy, blendable consistency that doesn’t look flat or powdery. In general, cream formulations are best for that natural, sheerest glow and is best applied with the fingers. The colour element, is a dark brown-red shade which you can use to saturate your lips for unapologetic colour but also rub lightly into the lower cheeks for a sculpted blush. If you can pull of the red eye makeup look, then by all means, smudge it onto lids too. Multi-purpose is the KEY the an essential palette like this. Check out the Palette Essentielle swatches below. The palette comes in three colourways – 150 Beige Clair, 160 Beige Medium and 170 Beige Intense. I was between Beige Intense and Beige Medium. Due to the darker colour of the concealer in the Beige Intense palette, I could use it as a colour, contour & highlight whereas Beige Medium was a colour, conceal and highlight. I decided to go with the 160 Beige Medium in the end, because I think concealer would be more useful (especially for a £50 investment!) I can hear Mr FV now saying “you spent HOW MUCH” – but honestly, for a one-step product that I can use daily, I know I can get my value from it. And it’s PRETTY. Overall, I’m not in the habit of buying myself Chanel makeup on a regular basis (I’ve chosen a mortgage instead) but this makes a lovely treat or gift – whether it be to yourself or to someone else. There’s just something about the glossy black compacts, that come in their velvet pouches. Beauty packaging at its most chic, would you expect anything less from the French? If you cannot wait until your next Duty Free trip – you can buy it from Boots or buy it at John Lewis here. What do YOU think of the new Chanel compact? What do you normally stock up on at Duty Free. Tweet me your thoughts @FaceValueBlog or send me a comment on Facebook!